Nice to hear that u had fun with the dubbing....I was wondering that do you get to watch the entire movie first, before you do the dubbing? Well yeah, wouldn`t it be boring to see the movie when its released because you had already seen it during dubbing ?? What was the other movie did you worj with Gautham for dubbing??? There is a Blogger meet arrranged on 15.11.08 at 6 pm at marina beach near Gandhi statue. We both know eachother. I dont know if you still remember me. We met in Sangam Kala Group competition. I didnt know how to reach you and found blog. Heard the song you sung in SS 2008(udaya). Unbelievable performance. I knew you were too good in those brihas!! But seeing you here this far is such a bliss. I am very happy you have taken music so close to you this far. I still wonder how this dubbing works and is coordinated with acting, lip movement etc. Would be difficult for the acto while acting when it is not spoken from their own voice? I really feel it is a great challenge to coordinate dubbing! Will watch this movie soon for ur voice. Padam pathutu vandha ellarum sonnanga...awesome voice acting....keep up the good work...me watchin on monday!! anonymous: the point is I have one.. go get one if you can. Kuppan: not going to be acting dude! Pugazhendhi: this is the only movie. the other movies are given somewhere else on this blog. Good one after a looooong time!! Glad to know you have voiced Sameera...could not identify....it was very nice...do you modulate a bit ? Definitely you must have had tons of fun during dubbing! Vikram was one of the main dubbing artist before (I am not saying you will become an actress like him). Tamil audience are fortunated to hear your voice on dialogues too. to perverted anonymous who has nothing else to do: I would rather play it. 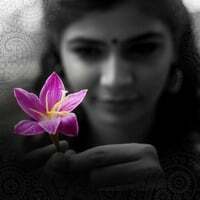 Heyy Chinmayi...just wondering who is the "anonymous" you have been pointing to in this thread.....I dont see any anonymous posts! ..
FIrst of all U r just awesome!! Multitalented.!! Amazing actually!! Congratulation on your Career!!! I Keep reading your Blogs .. U ROCK!! Tats gr8. I Saw the movie yesterday and cried a lot. Its very touching movie. I saw many fathers and children crying in the interval itself. The film is indeed a super hit! Awesome job in VaaranamAyiram. Your voice was perfect for Sameera. You got to work not ONCE but TWICE with Surya - lucky you! How was the experience working with him? anonymous pervert: Its boring to reply to you now. So ciao. The movie wasnt great on the whole was good in parts ... i loved the sameera reddy part.... california and SFO was added attraction for me as i have been to all those palces ! Actually i was aware of that voice - but to be frank it didnt remind me of you in the movie ... good job there ! - to whoever the credit should go to ! Frankly BGM was bad - and i had problems with the perspective also - it was kind of a mix up offorrest gump and autograph style - that failed to put the movie as one nice stream ! Whats your next song for rahman? Your voice was so sweet. Your accent was so stylish. I saw the movie twice to hear the voice of sameera. I was blushing just like surya when i saw sameera and heard her voice. But just now i know that was yours. That was kinda honey flowing thro my ears. You really have done a awesome job in varanam aayiram. You just gave life to visuals by your voice. Even if u have sung "Adiye kolludhe", it wud be a massive hit than this. I suppose you are an alumni of any U.S univ. I felt even bit of american slang in ur voice. i just watched it yesterday and was floored..literally.. The scene where surya ends up at sameera's house before she flies to US... U ROCK LADY!! chinmayi instead of lending your voice to Sameera Reddy, you could have acted in the movie itself in her role, and may have made judgement to it. She is a real waste to the character. By the way, your voice was perfect for the role to the least. your voice was a huge plus to the movie. Hi Chinmayi I wasn't able to recognize that it was your voice..The Movie was superb no doubt about that..
Great !. When I saw the movie I was wondering if it was your voice (from one place see below).. glad to know it was you..
first complements to u..ur voice superb(no doubt)..
and its "cho sheet" to read de comments u recieved from ua fans..
yeah..inspired on seein ua blog..
sure...damn sure..it'll take atleast 10dayz to see ua posts(if i sit sincerely and no doubt, am not tht much sincere )..a loads thr..
no time now..but sure i'll read in upcomin dayz..
Ur tone for sameera's voice is really nice and I think it made those scenes to work. Othwerwise it would have been let down to the hard work by surya. Came across your blog through my wife who is a great fan of yours. We live in singapore and watch super singer episodes eagerly. we are planning to watch Vaaranam Aayiram this weekend. I like the way you express yourself both on stage and on this blog - you are just being yourself without any pretentions. Btw, ( you can edit this part if you consider this promotion) - i run a blogsite on sculpture and art appreciation. Please visit when you have time and if you find it good help spread the word. Hi I had seen the movie last sunday. Ur voice is very apt for Sameera. Sameera's acting along with ur voice made that character one of memorable character in Tamil Cinema. Also, ur dubbing voice for other actresses [til now, be it tanisha, bhumika, kangana, padmapriya] is different. I had not seen other films for which u had dubbed ur voice. Not been around ur blog for some time.. First of all my condolences to mr.sridhar's family and friend..A persons best is known only after death..May god give the support and encouragement to his family to pass through this bad phase..
OK Now I was able to see Varanam Aayiram on the 1st day 2nd Show as I happened to be at New York/Jersey area (Luckily at that time) and I loved the movie (Very practical) and just as some one here pointed out I was sure i heard this voice somewhere but i was a lil unsure too but HEY ! I just came to know u were the throat behind sameera's face (AWESOME JOB) .. From a cine goer perspective.. There was an absolute blend between the character and the voice.. I think the credit has to go to Gautham Menon.. (And ofcourse a little to you too !) U NEED TO THANK GOD FOR HIS GIFTS OF ABUNDANT TALENT and am sure you are..Keep up the marvelous work.. Caught up with Vaaranam Aayiram just last week and was amazed at the quality of your voice in the movie.Its not the regular voice that i hear every morning in Aaha.This was a bit more deep,husky if you can call it but was wonderfully suited to Sameera's character.As usual another feather to your cap. There where rumours stating varanaam ayiram was taken from Forrest Gump. Forrest Gump is a good movie. But I could see only the plot of conveying the story by hero is what in common. It is a very sentimental and good movie. Part of surya - sameera role and coming back of surya was good in the movie. But I never knew that u chinmayi played voice for sameera. That was awesome and commanding in the movie. It gives a lift to sameera role. All the best. Hi Chinmayi...I'm a regular viewer of Airtel Super Singer...Infact my parents are also the ardent fans of the show...It is really going fantastic...Your style of signing off the show with shabba khair and Godspeed is lovely,superb and mind-catching....You have your own unique style which we all like so much...I really love your anchoring and your attitude....Keep Going...U Rock Chinmayi!! !